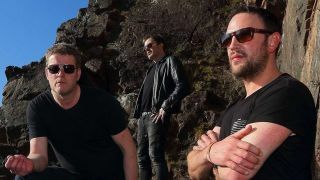 Dodgy have been announced as the opening act on the upcoming TeamRock.com-sponsored Britrock Must Be Destroyed UK tour. They’ll join a rotating lineup also featuring Reef, The Wildhearts and Terrorvision, with the run of eight shows set to get underway at Manchester’s Academy 1 on May 4. The tour will wrap up with a night at the Guildhall in Portsmouth on May 26. Tickets are on sale now. Find a full list of dates below.